An overseas move can be complex, so it’s essential that it is organised by experts. Your possessions are precious to you, so you will want a removal company you can trust to transport them safely and efficiently over many miles. Weston & Edwards have the knowledge & expertise which, when combined with the care, consideration and reliability afforded by a family firm, gives you complete peace of mind. For small part loads to destinations for the less popular destinations, where there is non-regular domestic traffic, like Africa, South America, China, Japan, Far East, we can still offer reduced rates for shared containers but we’d recommend that we crate your goods, for extra protection as they may be sent with general cargo. ‘All Risks’ insurance cover is provided at a low premium, thanks to our excellent claims record. In many cases, complex documentation is required when moving overseas and this can be quite a daunting prospect. Weston and Edwards can handle all the paperwork and customs clearance for any country in the world. Our crews are fully trained in packing & export packing for moving overseas. Furniture is wrapped using export wrap to fully protect the furniture in the shipping containers. Storage may be required before your goods are sent abroad. 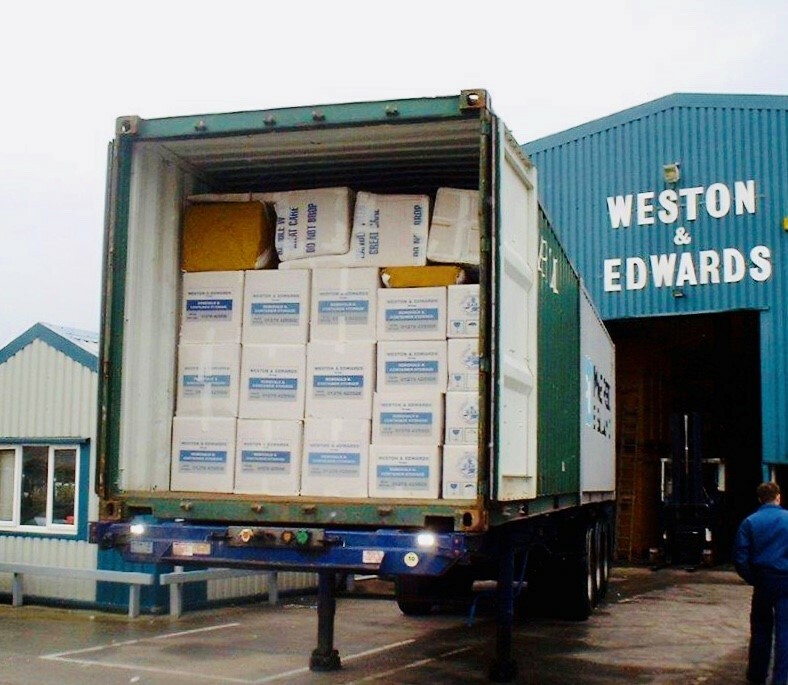 Weston and Edwards offer the most modern and secure storage facilities available. No need to worry about arranging to have your goods moved from the port to your new home, we do that as well! Afghanistan, Albania, Algeria, Andorra, Angola, Antigua and Barbuda, Argentina, Armenia, Australia, Austria, Azerbaijan, Bahamas, Bahrain, Bangladesh, Barbados, Belarus, Belgium, Belize, Benin, Bhutan, Bolivia, Bosnia and Herzegovina, Botswana, Brazil, Brunei, Bulgaria, Burkina Faso, Burundi, Cambodia, Cameroon, Canada, Cape Verde, Central African Republic, Chad, Chile, China, Colombia, Comoros, Congo (Brazzaville), Democratic Republic of the Congo, Costa Rica, Côte d’Ivoire, Croatia, Cuba, Cyprus, Czech Republic, Denmark, Djibouti, Dominica, Dominican Republic, East Timor, Ecuador, Egypt, El Salvador, Equatorial Guinea, Eritrea, Estonia, Ethiopia, Fiji, Finland, France, Gabon, The Gambia, Georgia, Germany, Ghana, Greece, Grenada, Guatemala, Guinea, Guinea-Bissau, Guyana, Haiti, Honduras, Hungary, Iceland, India, Indonesia, Iran, Iraq, Ireland, Israel, Italy, Jamaica, Japan, Jordan, Kazakhstan, Kenya, Kiribati, North Korea, South Korea, Kuwait, Kyrgyzstan, Laos, Latvia, Lebanon, Lesotho, Liberia, Libya, Liechtenstein, Lithuania, Luxembourg, Former Yugoslav Republic of Macedonia, Madagascar, Malawi, Malaysia, Maldives, Mali, Malta, Marshall Islands, Mauritania, Mauritius, Mexico, Federated States of Micronesia, Moldova, Monaco, Mongolia, Morocco, Mozambique, Myanmar, Namibia, Nauru, Nepal, Netherlands, New Zealand, Nicaragua, Niger, Nigeria, Norway, Oman, Pakistan, Palau, Panama, Papua New Guinea, Paraguay, Peru, Philippines, Poland, Portugal, Qatar, Romania, Russia, Rwanda, Saint Kitts and Nevis, Saint Lucia, Saint Vincent and The Grenadines, Samoa, San Marino, Sao Tome and Principe, Saudi Arabia, Senegal, Serbia and Montenegro, Seychelles, Sierra Leone, Singapore, Slovakia, Slovenia, Solomon Islands, Somalia, South Africa, Spain, Sri Lanka, Sudan, Suriname, Swaziland, Sweden, Switzerland, Syria, Taiwan, Tajikistan, Tanzania, Thailand, Togo, Tonga, Trinidad and Tobago, Tunisia, Turkey, Turkmenistan, Tuvalu, Uganda, Ukraine, United Arab Emirates, United Kingdom, United States, Uruguay, Uzbekistan, Vanuatu, Vatican City, Venezuela, Vietnam, Western Sahara, Yemen, Zambia and Zimbabwe. Your goods are packed and ‘export wrapped’, using paper blankets, bubble wrap and cardboard, then loaded into a security sealed, steel, watertight shipping container at your home (or from our warehouse if storage is required in the interim). A full inventory is taken by our staff, with a copy given to you and all packages are labelled with your name and destination address. The container is sealed at your home and remains unopened until arrival in your new country. 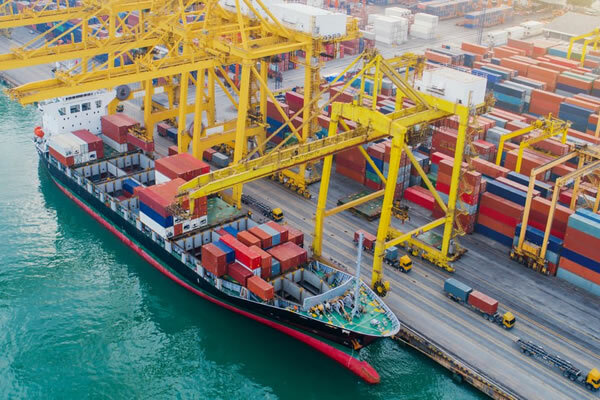 The container then goes to the nearest container port here in the U.K. shipped to the port nearest to your destination, then on by road to your new home. Unloading is undertaken by one of our approved agents in your new country, removing and disposing of all the packaging materials. We clear customs for you. If you’re taking a lesser amount considerable savings are made by sharing the space with our other customers. A full 20′ container will accommodate an average 3 bedroom house, with 40′ and 45′ containers for larger households. Your goods can be delivered ‘door to door’ or made available for collection at the nearest port. A whole household or a few personal possessions – you only pay for the space you need!